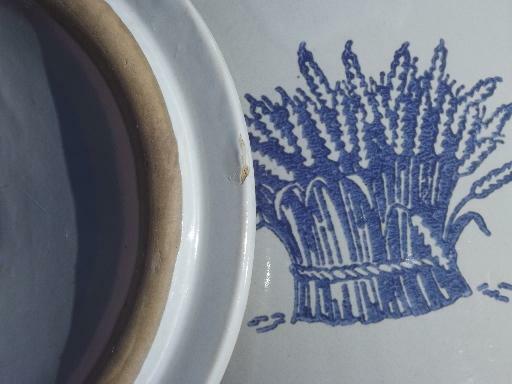 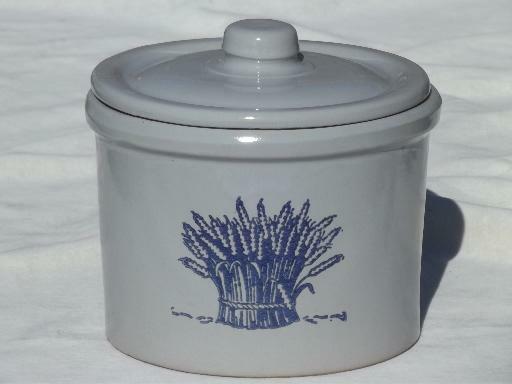 Unmarked old stoneware crock jar with blue wheat sheaf pattern. 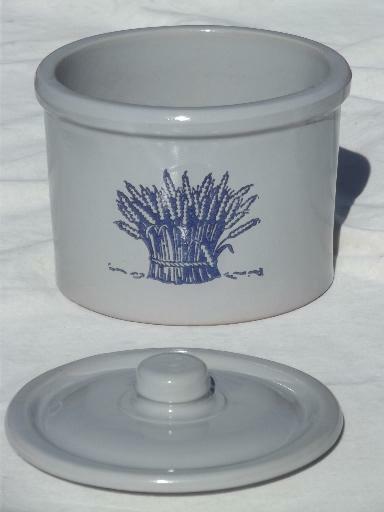 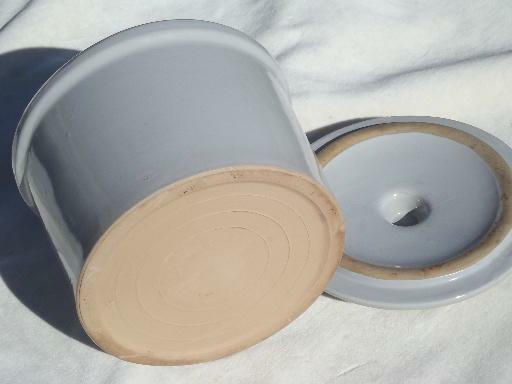 The crock is about 6 1/2" in diameter x 4 3/4" deep, and the lid is made to sit on top, doesn't fit tightly. 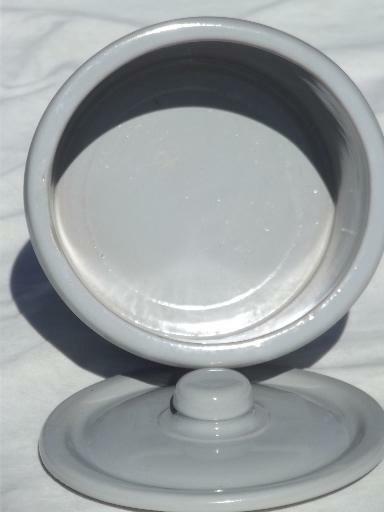 There's a tiny chip and maker's flaw to the rim of the lid as shown in the last photo... but overall this looks very good, nice and clean.